Whether you’re building a web site for your brand new company or working on a pre-existing site, getting a professional content audit done will save you a lot of trouble in the future. A web site content audit can show you what content is the most successful and what content that isn’t, help you find holes in the types of content you provide, and help you remove duplicate content and low-quality pages. What exactly do content auditors do? Here’s what you need to know. A content inventory is a comprehensive list of all the content on your web site. This includes text, documents, images, and applications. 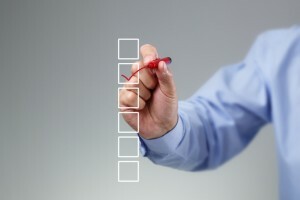 A content checklist is then used to gain insight from your inventory by assessing each piece of content. Then you will have a better idea of the impact of each piece of content and can make wise decisions about improving, replacing, removing, or adding content. Before content auditors look at your web site, consider your objectives: why are you doing the audit, and what will you do with the results? Also think about which areas on your site, or from certain date ranges, should be focused on. Once your goals and scope have been determined, you should proceed with the following steps. 1. Gather all your SEO data. 2. Put all your SEO data in one place to analyze and draw insights more efficiently. 4. To turn the inventory into an effective audit, you will have to go through each piece of data and perform an assessment to help you shape your new SEO strategy. You will also want to increase your credibility to web browsers and this may mean making changes to your credentials, contact details membership numbers, testimonials, social media accounts, and verbiage. If you are one of the thousands of business with a web site full of content, yet without sufficient traffic, it may be because your content is not search engine friendly. A lack of traffic to your site could also be attributed to content that is poorly written or the wrong length. There are certain elements that improve a site’s ranking and this can be determined through the use of a content marketing agency in Toronto. 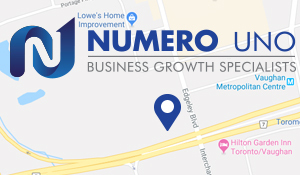 Numero Uno Web Solution’s content auditors in Toronto can help you improve your startup or small business web site’s SEO. We have benefitted businesses in Toronto, Richmond Hill, and Vaughan, and we have even extended our services to Texas, Massachusetts, and Florida. To learn more about our content audit software, tools, and services, call us at 1-855-SEO-XPRT.